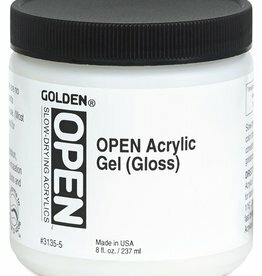 Golden OPEN Acrylic Gel, Gloss, 4 Fl Oz. 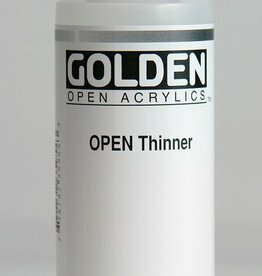 Golden OPEN Acrylic Thinner, 1 Fl Oz. 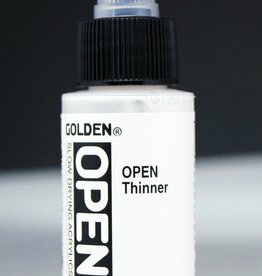 Golden OPEN Acrylic Thinner, 4 Fl Oz. 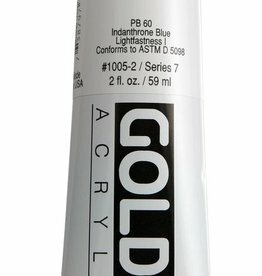 Golden, Heavy Body Acrylic Paint, Anthraquinone, Series 7, Tube, 2fl.oz. 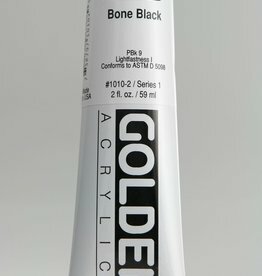 Golden, Heavy Body Acrylic Paint, Bone Black, Series 1, Tube, 2fl.oz. 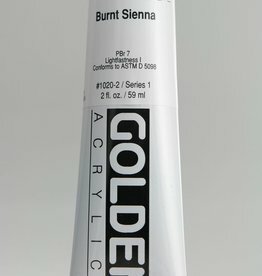 Golden, Heavy Body Acrylic Paint, Burnt Sienna, Series 1, Tube, 2fl.oz. 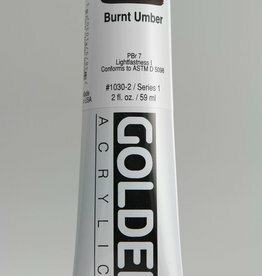 Golden, Heavy Body Acrylic Paint, Burnt Umber, Series 1, Tube, 2fl.oz. 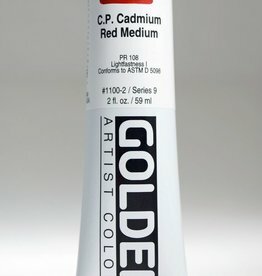 Golden, Heavy Body Acrylic Paint, C.P. 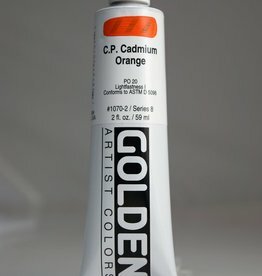 Cadmium Orange, Series 8, Tube, 2fl.oz. 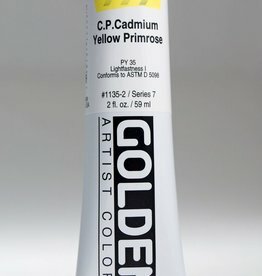 Golden, Heavy Body Acrylic Paint, C.P. 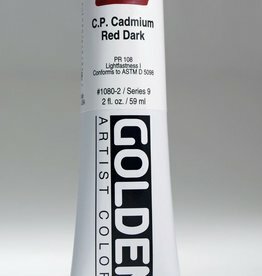 Cadmium Red Dark, Series 9, Tube, 2fl.oz. 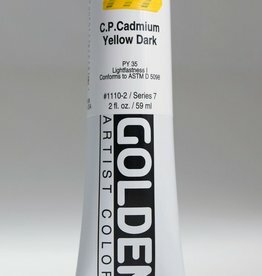 Golden, Heavy Body Acrylic Paint, C.P. 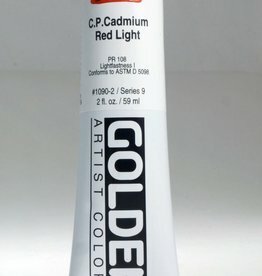 Cadmium Red Light, Series 9, Tube, 2fl.oz. Golden, Heavy Body Acrylic Paint, C.P. Cadmium Yellow Light, Series 7, Tube, 2fl.oz. 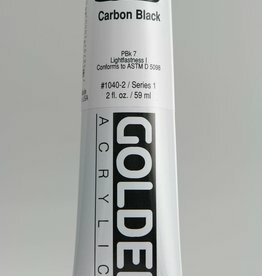 Golden, Heavy Body Acrylic Paint, Carbon Black, Series 1, Tube, 2fl.oz. 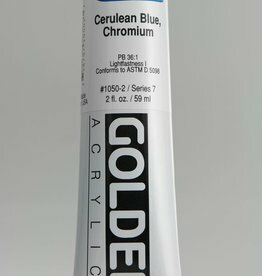 Golden, Heavy Body Acrylic Paint, Cerulean Blue Chromium, Series 7, Tube, 2fl.oz. Golden, Heavy Body Acrylic Paint, Cerulean Blue Deep, Series 9, Tube, 2fl.oz. 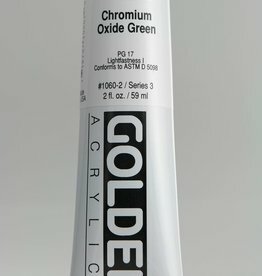 Golden, Heavy Body Acrylic Paint, Chromium Oxide Green, Series 3, Tube, 2fl.oz. 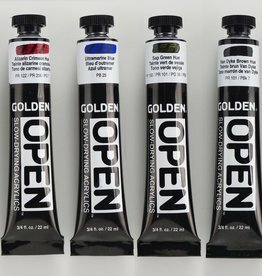 Golden, Heavy Body Acrylic Paint, Cobalt Blue, Series 8, Tube, 2fl.oz. Golden, Heavy Body Acrylic Paint, Cobalt Green, Series 4, Tube, 2fl.oz. 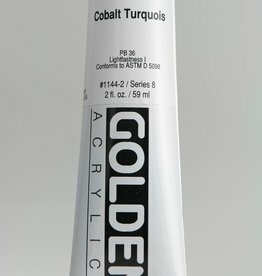 Golden, Heavy Body Acrylic Paint, Cobalt Turquois, Series 8, Tube, 2fl.oz. 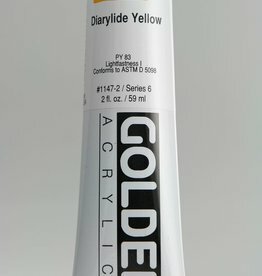 Golden, Heavy Body Acrylic Paint, Diarylide Yellow, Series 6, Tube, 2fl.oz.